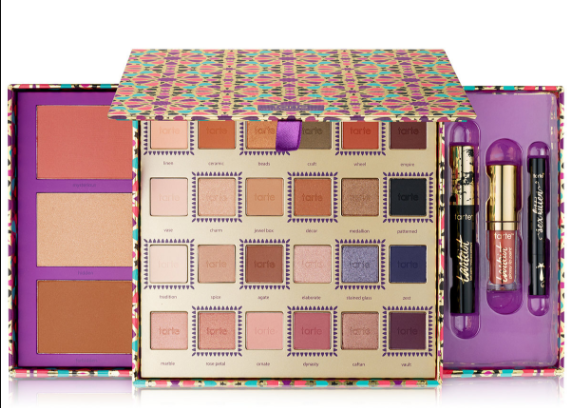 90% off Tarte Collector’s Set! I don’t normally post back-to-back beauty deals but HOLY MOLY, I just went to reorder my Tarte Mascara before the VIP sale ended today, and I uncovered a deal I simply had to share with you. You already know you can get a free customizable 7-piece gift from Estee Lauder, and while this deal isn’t free, you’re going to save 90% off a Tarte Collector’s Set! I was surprised it took me as long as it did for me to learn about Tarte, but what was even more surprising was the fact that their makeup didn’t cost more than their counterparts in the beauty aisle. 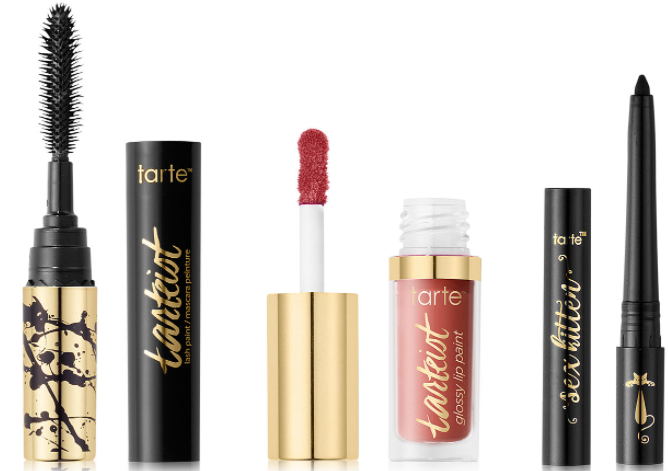 So imagine my even greater surprise when I searched “Tarte Mascara” on Macys.com and the first thing that popped up was the NEW Tarte 5-Pc. Tarteist Trove Collector’s Set, created especially for Macy’s. I paid somewhere around $24 when I purchased my Tarte Mascara on its own, but this new Tarte Collector’s Set, which is a $386 value and includes mascara, is on sale for just $40.80 after you use the code VIP. That’s about 90% off retail value! Plus, you still get free shipping and free returns with any beauty purchase, so there’s truly no risk. Reviewers are already raving about this palette and it’s receiving highest marks, especially for being “long-lasting”. So whether you decide to try the mascara alone or the incredible collector’s set, one thing is for sure, you’re not going to find prices like this on Tarte Cosmetics (or any makeup, for that matter) again for quite awhile.